In Red Queen, Mare became a Red pretend-princess in a sea of Silver. She is Red and Silver both, an in-between who beholds power but possesses red blood. It was nothing the palace has ever since before. In Glass Sword, Mare swaps her palace garb for trekking gear. She becomes a leader of a rebellion instead of a princess living a lie. She and the Red Guard fight together against their enemy. After discovering more people are both Red and Silver—different, just like Mare—Mare is out to find them. She gives them a choice: die or join. In the end, Mare realizes what she has become. She doesn’t even have a choice anymore. I will try to make this review as spoiler-free as possible but, you know, sometimes I get so overwhelmed about so many awesome things and something slips (I will keep that to a minimum), but seriously, if you haven’t read Red Queen yet, what are you waiting for? Red Queen is the stepping stone to this wild ride. Sequels are always hard to face. Readers go in with high expectations and usually, they leave disappointed. I admit I had high expectations going into Glass Sword. Also, I admit not all of those expectations were met. As a sequel, Glass Sword falls short. It is not a magnificent sequel and some parts dragged on. The plot was nothing spectacular and if I’m being totally honest (which I am), it was a bit repetitive. The mission of the plot was to secure several people from the list and recruit them. Think about what that means. As a plot, the act of going to a town, retrieving the person from the list, recruiting them, and then bringing them back to camp is not extremely exciting. Think about recruiting several people then. The act got a bit boring. I hate to say that because Red Queen was one of my favorite books of 2015 but it’s true. Glass Sword, as a sequel, fell short. 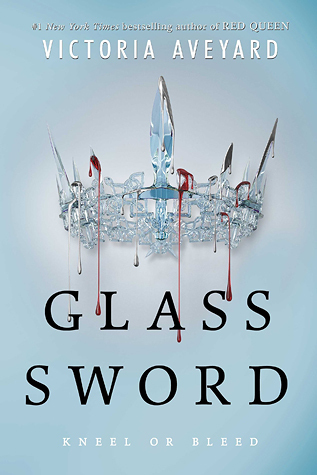 As a book, which doesn’t follow Red Queen (because the first was so good, it would have been a miracle to top it), Glass Sword does fantastic. Besides the plot being repetitive, the character development allows for some amazing swoon-worthy scenes. As usual, Victoria Aveyard hits it out the park with her gorgeous, strong writing. I mentioned my deep love for her writing in my Red Queen review. But I can say it again. For the excitement lacking in the plot, she definitely makes up for in her unbelievable writing. 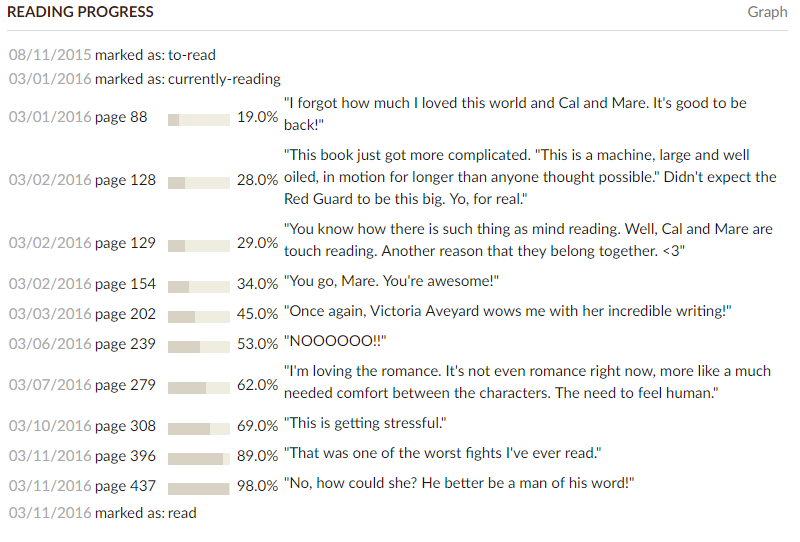 Not to mention (okay, let’s mention it), Aveyard throws readers into a giant feels-boat by the end of the novel. No matter what you feel about the plot, in general, by the end of the novel, Aveyard is already setting up the beginning of the next book. The ending scene is not a cliffhanger, so much as it is a heart-wrencher. 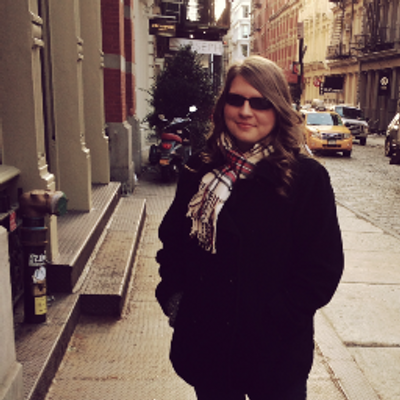 Why, Victoria Aveyard; I thought you liked us? In all serious-ness, readers will definitely have trouble waiting for the sequel (which released 2/7/17). Aveyard forces you to love these characters with her superb writing and gorgeous development and then… well, then I can’t tell you because I promised no spoilers. 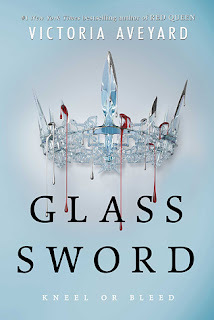 Overall, Glass Sword is a good addition to Victoria Aveyard’s series. It doesn’t top Red Queen but it certainly pulls at readers’ heartstrings. Despite its repetitive plot, Aveyard moves the story forward with beautiful character development and hard-to-put-down writing. The ending will not only leave you wanting more, but it will leave you shattered. This sequel to Red Queen will have you crossing off the days until the next in the series.